In most parts of the developing world, women bear the social and economic costs of limited water access, making water scarcity a gender issue. Women and girls spend a large part of their day walking long distances to seek out safe water for a variety of purposes; from housekeeping duties to agricultural activities. While such activities provide refuge for women to be together and interact on the daily activities, they also negatively impact on the amount of hours and labor that go into a day’s work. 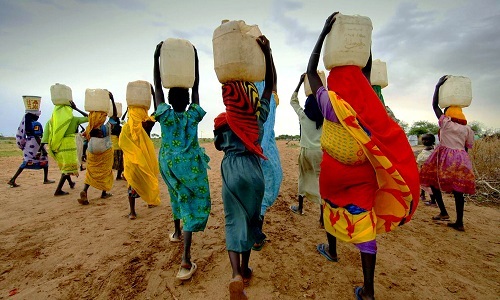 In sub-Saharan Africa, the average trip to collect water is over 3 miles and takes 33 minutes each way. This means women and girls spend at least an hour fetching water daily. This gender gap in water-related work affects girls across backgrounds - whether educated or not. The difference is only on the severity of the effect, with uneducated girls more adversely affected. This gender gap also begins early on in a girl’s life, between ages 5 and 9, where girls spend 40 million more hours than boys on household activities worldwide. By ages 10 to 14, girls spend 120 million more hours each day on household activities. This long work day means girls will spend less time in school and/or on school-related activities. We cannot talk about access to water without accounting for the population most affected: women. The Rainmaker Enterprise’s projects take on a gender focus by considering the different roles, rights, and responsibilities that women and men have when it comes to access to and use of water resources; and also importantly how this impacts the relationship between men and women. In this respect, our focus on gender goes beyond looking at the relation between men and women and deeply explores the different ways that social development and improved quality of life are impacted by these binary roles. An integral part of our work is understanding these gender dynamics and ensuring that, throughout the project cycle, women and girls are considered not only as beneficiaries, but as actors and agents of change, in their respective communities and globally. To ensure we address the issues of water access, food insecurity, women and youth unemployment through the installation of environment-friendly water infrastructures, we work in consultation with partner communities, involving both men and women in the consultation phase of the project, and in supporting the implementation of activities throughout the project cycle. 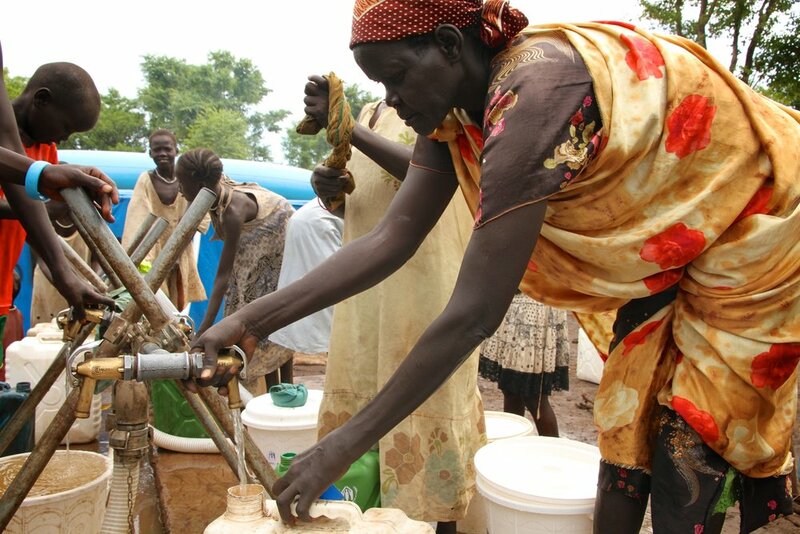 This ensures that women stand to benefit equally from newly created access to water. Providing access to safe water close to home saves women hours of labour daily. Solar-powered water pumping saves even more time where pumping is otherwise done by hand. This means more time for girls and young women to go to school. When hunger strikes, women eat least and last. Our model accesses water for year-round agricultural production to improve community food security, focusing on the most marginalized members of society - women, children, the elderly, the sick, and the disabled. Co-designing our projects with partner communities ensures that newly created access to water serves the needs of the most vulnerable and builds on existing social relations rather than disrupting them. We can’t do this without your help. Join us this June 2nd at the first annual Water for Peace cocktail fundraiser, where every ticket sold directly supports the installation of our first project in Tonj, central South Sudan. You will be in the presence of keynote Lt. Gen. the Hon. Roméo Dallaire and special guest Dr. James Orbinski, who have each devoted their lives to leading the response to humanitarian crises, serving the needs of the most vulnerable. Guest speakers also include Cecilia Adeng, Deputy Permanent Representative of South Sudan to the UN; and James Madhier, Founder and Executive Director of the Rainmaker Enterprise. A performance will be delivered by Emmanuel Jal, award-winning recording artist, actor, activist, and former South Sudanese child soldier; and the event will be MC’d by Ziya Tong, host of the Discovery Channel’s Daily Planet. To help us improve the lives of women and girls, please purchase your tickets today at www.waterforpeace.ca (RSVP by May 31). Tax receipts available through our charity partner, the CAP Network.